Pope Francis is visiting Abu Dhabi until tomorrow. The country is more tolerant to Christians than other countries in the area. However, full religious freedom does not exist in the United Arab Emirates. 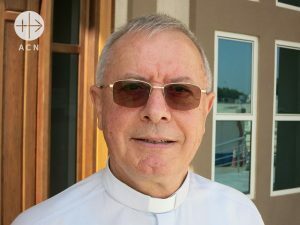 Bishop Hinder, a Swiss Capuchin monk, is expecting around 130 000 faithful, who will gather together on 5 February to participate in the Holy Mass celebrated by Pope Francis in the capital city of the United Arab Emirates. 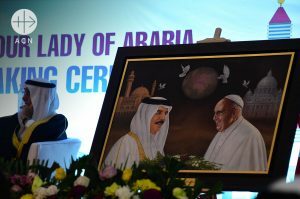 Francis will be visiting the Islamic country from 3 to 5 February. This will be the first time that a pope has ever visited the Arab Peninsula. “A number of Muslims have contacted me to ask how they can help prepare for the visit. Many have expressed an interest in attending the Mass. The government is also doing everything in its power to ensure that as many of our faithful as possible will be able to see the Pope,” Bishop Hinder continued. TAGS: ACN, Aid to the Church in Need, Aid to the Church in Need Canada, Pope Francis.